There are a number of treatment options available to correct TMJ disorder. Your particular treatment should be determined through consultation with a dental professional highly experienced in temporomandibular joint problems. Ideally, your dentist should have expertise in evaluating jaw-to-bite relationships, and experience with proper treatment procedures such as occlusal equilibration and the use of intra-oral appliances. “Conservative” is the key word when it comes to TMD treatment. Most treatments are simple and can be done at home, without the need for surgery. The most severe cases may require treatment with splints, mouth guards or other traditional forms of TMD therapy. Many self-help remedies have been suggested to treat TMD, but be aware that these remedies do not treat the cause. In fact, TMD treatment through the right dentist may be less costly, less time intensive and produce a fully satisfactory result. Although the following self-help remedies do not treat TMD long term, temporary relief may be found. Heat and Cold Packs: Heat and cold packs applied to the side of the face and temple for 10-minute intervals may reduce the intensity of the pain affecting the muscles and surrounding area of the jaw. Limit Jaw Movement: It is important to avoid large movement of the jaw, such as singing and wide yawning. Also, do not apply pressure with your hand against your jaw for an extended time period, such as when sleeping. Limit the pressure you apply with a phone receiver. Diet: Choose soft food and stay away from foods requiring repetitive chewing or the mouth to be open wide. In particular, avoid chewing gum, taffy, pretzels and raw carrots. Dental Treatment: Continue to receive dental treatment for any teeth requiring restoration. Tooth decay may affect the bite, a contributing factor to TMD. Physical Therapy, Biofeedback, and Massage:In some cases, physical therapy, biofeedback and massage provide temporary relief. Medications: Some doctors or dentists may prescribe non-steroidal anti-inflammatory drugs (NSAIDs like ibuprofen), muscle relaxants, anti-anxiety medications and in some cases anti-depressants. The choice of medication depends on the intensity of the disorder and your medical history. However, the need for medication is greatly reduced when treatment is received from an experienced dental professional. Regardless of the treatment prescribed for you, it is important that you follow your dentist’s instructions. You should also keep up with routine dental visits so your dentist can regularly monitor your TMJ symptoms. In addition, the TMJ Association advises patients to keep in mind that there is currently no evidence to suggest that TMD can be prevented. Therefore, caution is advised regarding any treatment(s) presented as providing this benefit. A careful examination of the joints and occlusion is a critical step before a specific treatment is selected. Only a small percentage of TMD cases require surgical intervention. If an improper bite is the cause of the TMD, many bite corrections can be achieved with orthodontics, restorations, equilibration or appliance therapy. Typically the first line of treatment provided by your dentist will be the use of a splint. The splint is worn to reduce stress on the jaw, allow the muscles to function optimally and/or to cover the deflective interferences affecting the bite so that the lower jaw can be repositioned into the socket properly. If a splint helps relieve the pain, it is possible that your bite or parafunction was causing the problem. Many types of splints and appliances may be fabricated by your dentist. The appliance that is best for you will be decided based upon clinical findings, symptoms and diagnostic tests (X-rays, etc.). Such appliances may help improve your bite while it is in place, thus providing the ability for the lower jaw to fall properly into the temporomandibular joint socket. If your dentist determines that no structural disorder exists in the joint, but that there are deflective interferences on the teeth that are affecting the bite and causing an improper jaw closure, you may undergo occlusal equilibration, or your dentist may elect to treat the bite with an appliance. Many TMJ cases can be corrected with occlusal equilibration, particularly when performed by a dentist experienced in TMD. Occlusal equilibration involves selective reshaping of the biting surfaces of the teeth and is often the best choice for eliminating deflective interferences so that the jaw can close properly. 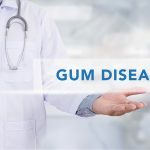 If your dentist suspects a structural disorder within the joint itself, further studies may be necessary prior to treatment to ensure that a proper diagnosis is made. A good screening tool is the panoramic X-ray, but other diagnostic tests also may be required. In other cases, an MRI (magnetic resonance imaging) may be used to help your dentist view the soft tissue area surrounding the disc joint. A CT (computed tomography) scan to evaluate the bony areas of the jaw and hinge joint may also be needed. Depending on what these images reveal, your dentist may recommend an intra-oral appliance, orthodontia or maxillofacial surgery. You may be referred to an oral surgeon or oral and maxillofacial surgeon who will further evaluate and treat your condition. Typically, surgery is considered only after all other conservative treatment options have been attempted. However, surgery may not always resolve TMD issues. All TMJ-related surgery is performed under general anesthesia. An oral surgeon may perform a minor procedure called arthrocentesis. During the procedure, your surgeon cleanses the joint by inserting needles into the joint area and dispensing sterile fluid. In some cases, the surgeon inserts a scalpel-like instrument inside the joint to remove any tissue adhesions and reposition the disc in the joint hinge. The second type of surgery is arthroscopy. During this procedure, your surgeon makes an incision at the temple point in front of the ear to reach an endoscope into the surrounding area. The endoscope provides a visual guide so that your surgeon can remove any adhesions, treat inflammation or reposition the disc. Alternatively, open-joint surgery may be performed. This may be the only option that provides access to deteriorating bony structures, tumors, severe scarring or chipped bone areas. Depending on the type of problem, your surgeon may use a scalpel to remove or re-sculpt the affected area. TMJ treatment costs depend on several factors, including the expertise of the dentist, the location of the dentist, the type of dental insurance you have, and the facility fees for procedures. For example, if occlusal orthotics or a removable appliance is prescribed as part of your TMJ treatment, the cost could be roughly $425 to $625. 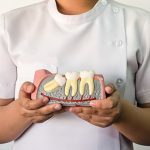 Depending on the type of dental insurance you have, insurance companies may offer a 15 percent reimbursement, or a maximum 50 percent absorption of the total procedure costs. Alternative medical treatment for TMD is considered less conservative and unnecessary if you initially receive proper diagnosis and treatment. Alternative treatments include transcutaneous electrical nerve stimulation (TENS), ultrasound, trigger-point injections and radio wave therapy. TENS and radio wave therapy send low levels of electrical or radio waves of energy to the affected area in order to stimulate blood flow to the joint and surrounding area. However, these options do not treat the causes of TMD and may provide only limited, temporary symptomatic relief. Once reserved for lessening the tell-tale signs of aging, such as annoying wrinkles and frown lines, Botox injections are being used more frequently in some dental offices as “off label” treatments for more troublesome maladies such as TMD. Scientific studies have shown that patients who received the injections experienced significant improvements in pain, function, ability to open their mouth and levels of tenderness to palpation. Botox is injected into the temporalis, medial pterygoid (deep jaw muscle) and masseter muscles that together move the jaw. Botox blocks nerve signals that cause uncontrollable muscle movements, essentially relaxing the muscles. Botox injections take only 10 to 15 minutes and remain effective for anywhere between two and six months. Therefore, like its cosmetic counterpart, Botox TMD treatments must be repeated every few months. If you have TMD and your dentist determines that you are a candidate for this treatment, how often you’ll need to receive Botox injections to relieve symptoms will depend on the severity of your condition. The cost of the Botox treatment will vary based on where you live and receive treatment and the severity of your condition (and therefore, how many Botox injections are needed). Botox treatment is usually charged on a per-visit basis. Most dental insurance companies do not cover Botox treatments because they are “off label,” optional treatments. Therefore, the costs associated with your treatment most likely will be out-of-pocket expenses. However, financing or payment plans may be available.